Group of people gathered in a large room waiting, sitting on benches. Most are wearing overcoats, jackets. 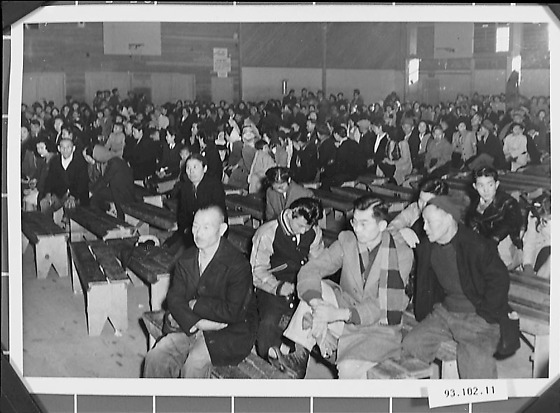 The people who are waiting for registration to go back to Japan by boat after the war. The hall in the Tule Lake Camp.